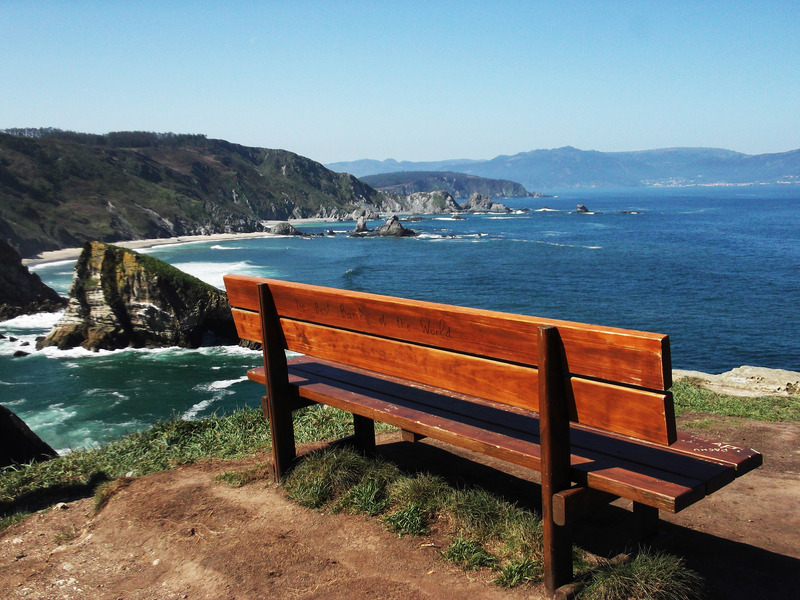 The natural landscape of Galicia is so beautiful and impressive that you don´t even know where to begin your getaway …. On our two routes along the fjord-like bays you can decide for yourself whether you prefer the `Rías Altas´ or the `Rías Bajas´. As always a pure question of taste…..
We start with the Rías Altas! DAY 1: FINISTERRE – CASCADA DE ÉZARO / CORCUBIÓN -CEE. We start our hike along the `Rías Altas´ in `Finisterre´. Some pilgrims believe that the road to Santiago ends in Santiago de Compostela, but the real ones know that you can not finish without arriving where the land ends, in Fisterra-Finisterre. 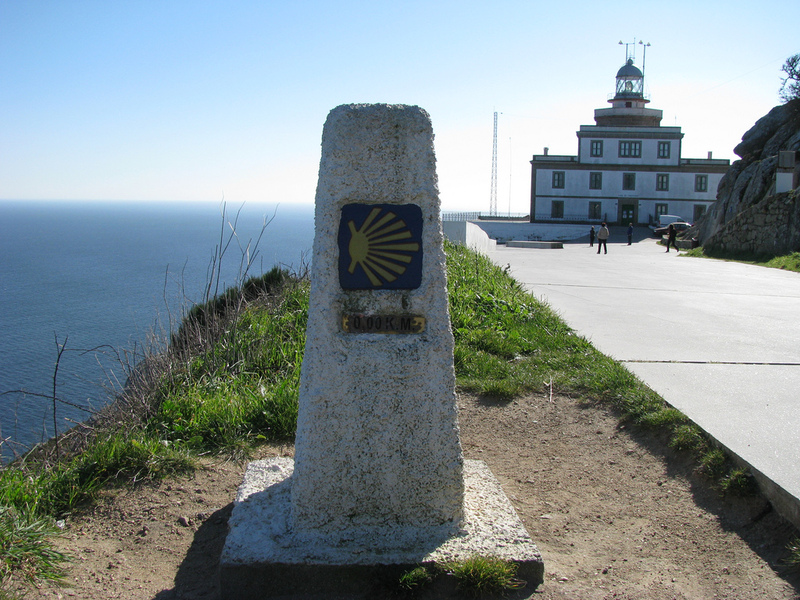 The ‘Cape of Finisterre’ can be reached on foot, starting in the village of Finisterre and walking along the coastal road and the estuary of Corcubión. There you will find the octagonal lighthouse `Faro de Finisterre´, which protects the fishermen from the rugged seas of the Costa da Morte. One of the wildest beaches of the Atlantic Ocean, `Mar de Fora´, is located at the cape, from where you can enjoy fantastic sunsets, watching the sun disappear majestically on the horizon. From Finisterre I suggest you two different routes. 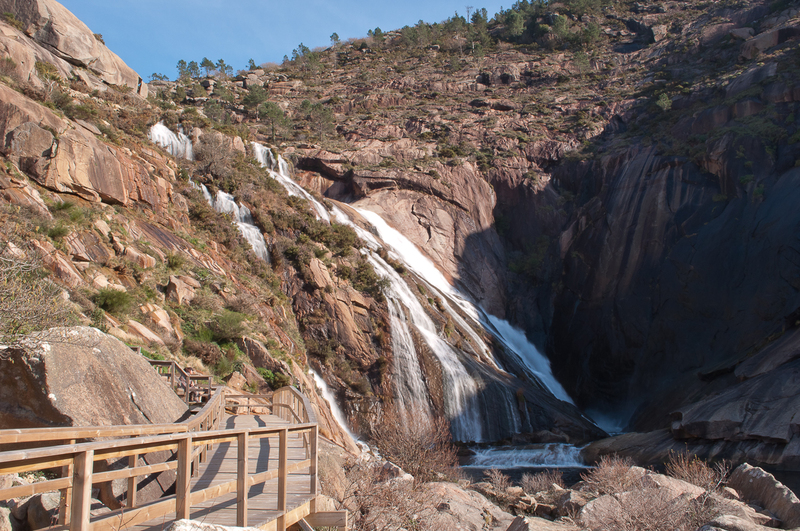 The first will enchant you with its natural beauty, truly unique in Europe; already less than 20 minutes from Finisterre, you will reach the waterfall of `Ézaro´, the only one that flows into the sea. Do not miss to visit the small picturesque place `O Pindo´. The second route leads up to the `Costa da Morte´ coast with its beautiful wild beaches. 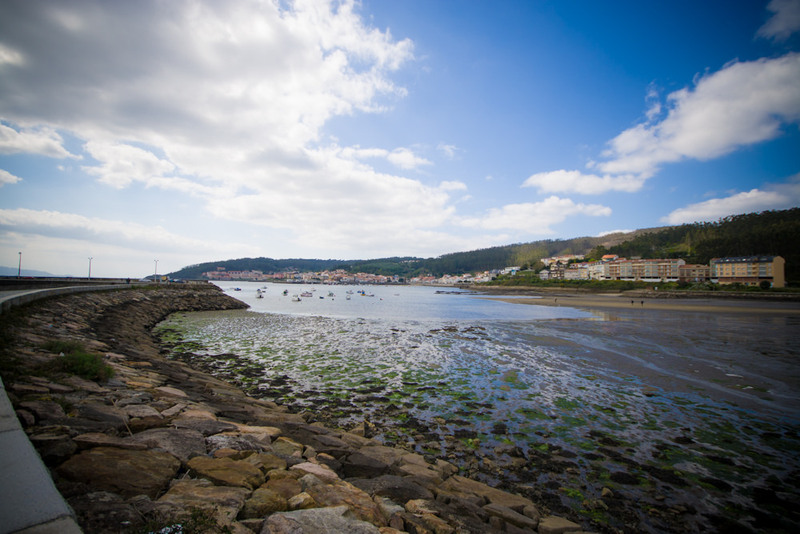 Make an intermediate stop on the road in `Corcubión and Cee´ to take a worthwhile walk that borders the estuary. Following the path, we arrive at one of the most beautiful beaches of the Costa da Morte: `Nemiña´. With its impressive waves a true surfing paradise. If you choose the first itinerary, then you can have a relaxing stay at the HOTEL MAR DA ARDORA, including fantastic sunsets. You will never forget your night at the sea in `Mar de Ardora´ in Galicia. 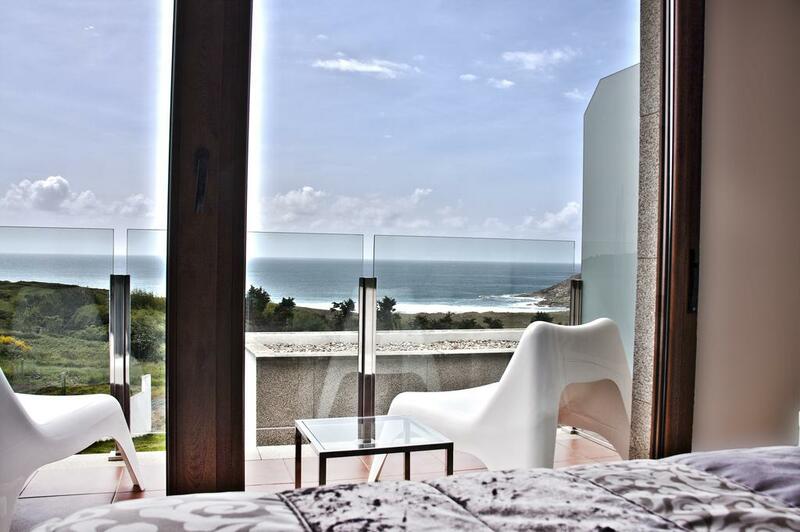 Book your getaway at Mar da Ardora and enjoy Finisterre! If you prefer to continue the itinerary to get to know Rías Altas and Costa da Morte interely, CASA CASTIÑEIRA is the right place for you. 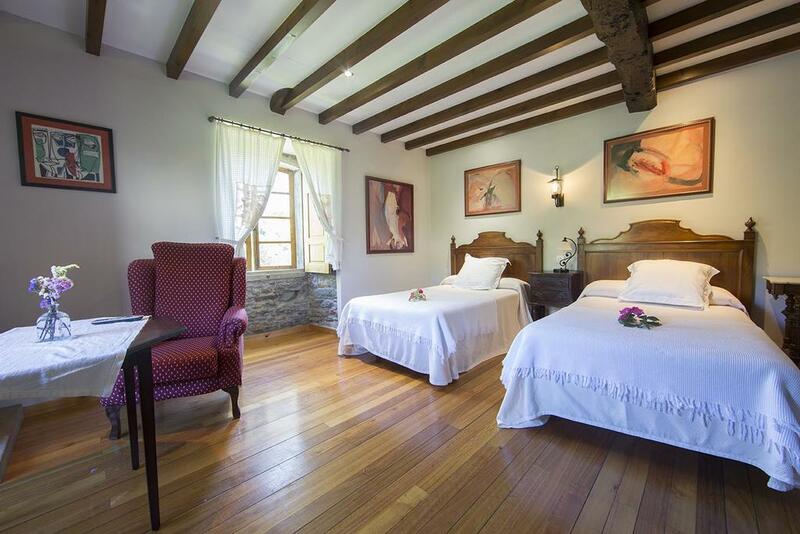 Casa Castriñena, the perfect place for you to visit the Rías Atlas. Book now. 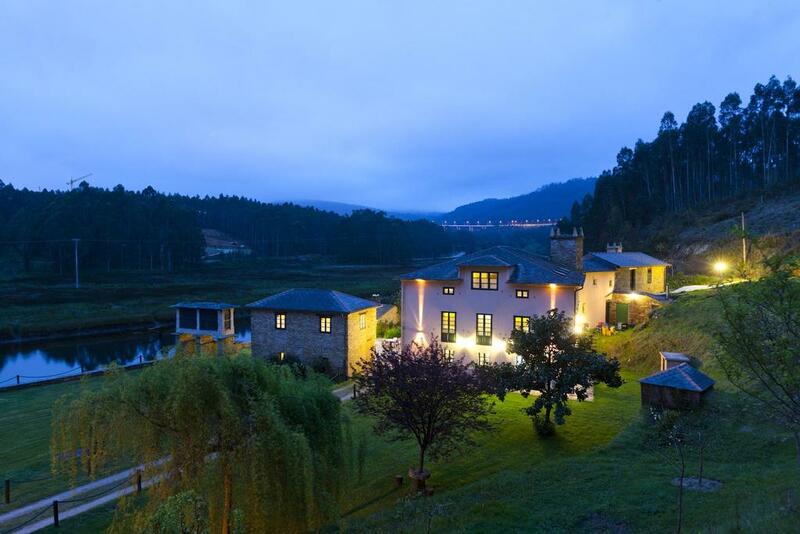 On the second day it goes to Muxía with its beautiful surroundings. 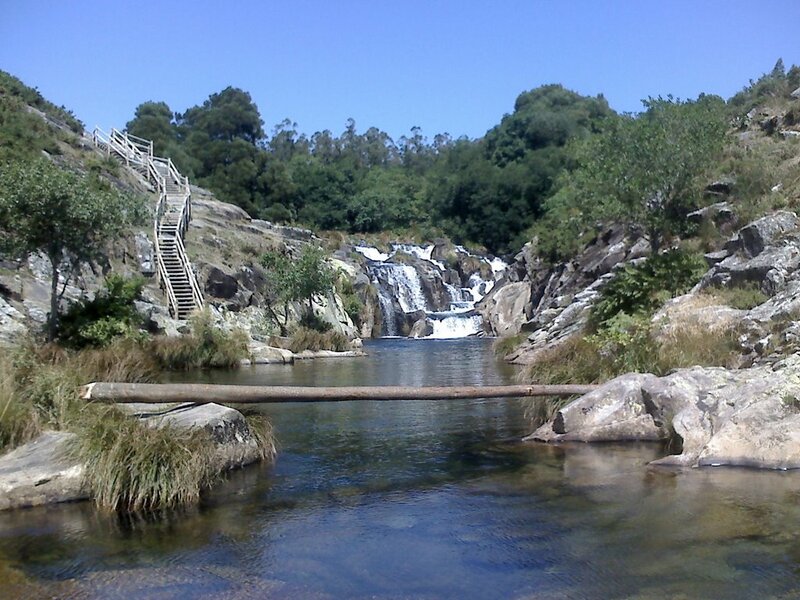 Our aim is Caldeiras do Costro, just 20 minutes from Finisterre and only 10 from Casa Castiñeira, with the cascade of the Castro river and the natural water basins, ideal to cool down in summer. Follow us to Cabo Touriñan, the westernmost point of the peninsula, with fantastic, endless views. In Muxía the Sanctuary of the Virgin of A Barca awaits you. 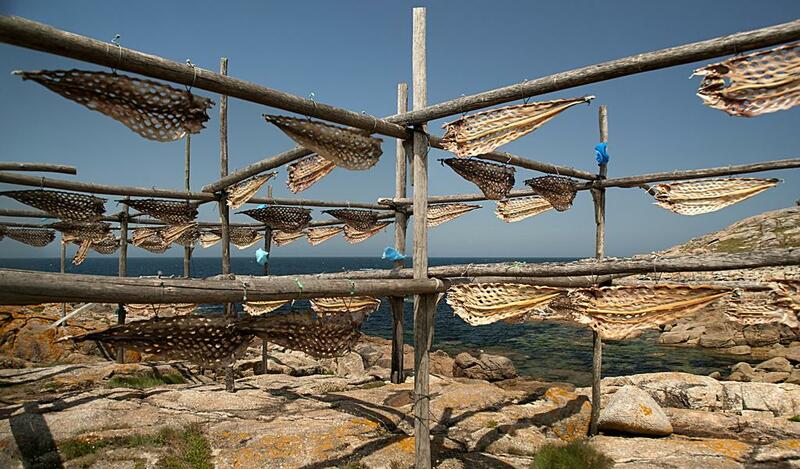 Here we get to know the traditional conger dryers. 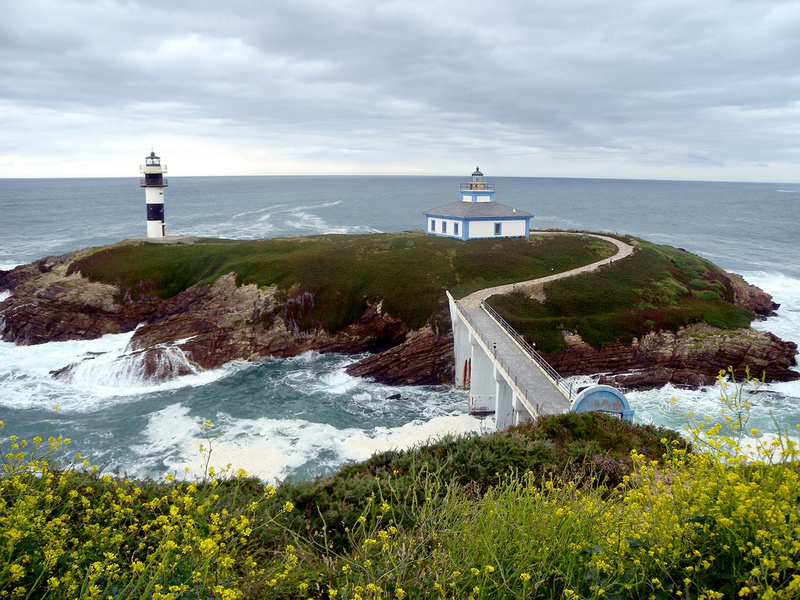 Malpica is a hotspot for surf enthusiasts, and hiking lovers can begin here a 200 km stretch connecting the two lighthouses `Faro de Malpica´ and `Faro de Finisterre´ (Ruta or Camiño dos Faros). 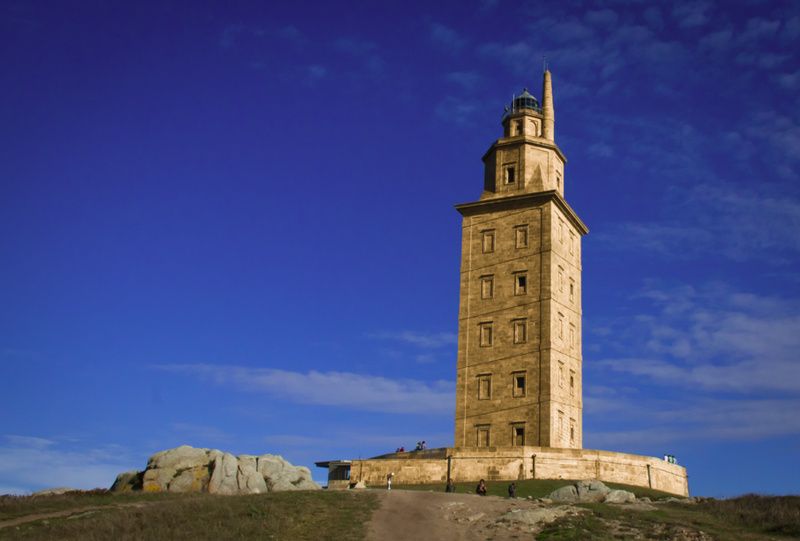 Another interesting option is the visit of A Coruña with it´s beautiful old town, the `Hércules Tower´ and the `Menhires Monument´, as well as the beach of `Riazor´. We begin the last 50 km section of our tour through Galicia to the Cantabrian Sea and the natural park Parque Natural de Fragas de Eume, a huge coastal Atlantic forest. 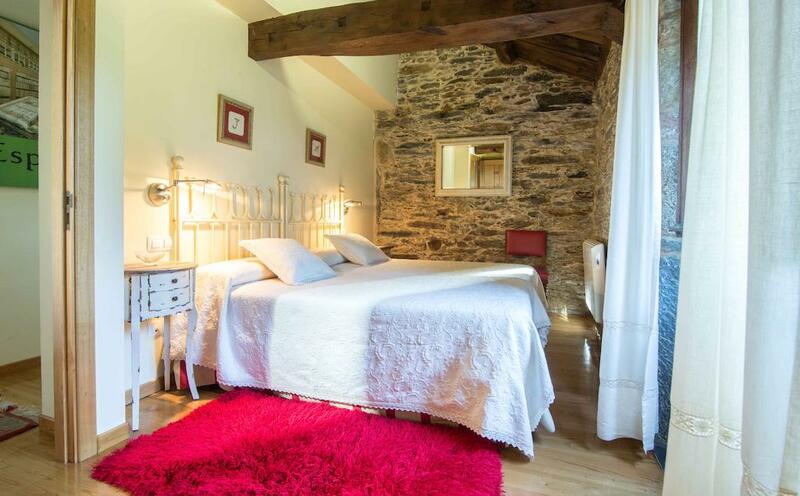 There we can relax in the cozy rural hotel CASA PIÑEIRO, an ideal family hotel with only 5 rooms, two of them type loft, with beautiful garden with children’s playground and barbecue area. Pure relaxation in the natural paradise Hotel Casa Piñeiro. To those who want to continue their route along the Rías Altas, 30 km away from Casa Piñeiros you will find the beautiful fishing village Mugardos, immersed in an idyllic landscape and with the Galician spaziality octopus a la mugardesa in the restaurant Muelle 43. Sometimes pictures say more than a thousand words, here is a truly spectacular one. Our next destination is the great beach Playa de las Catedrales. 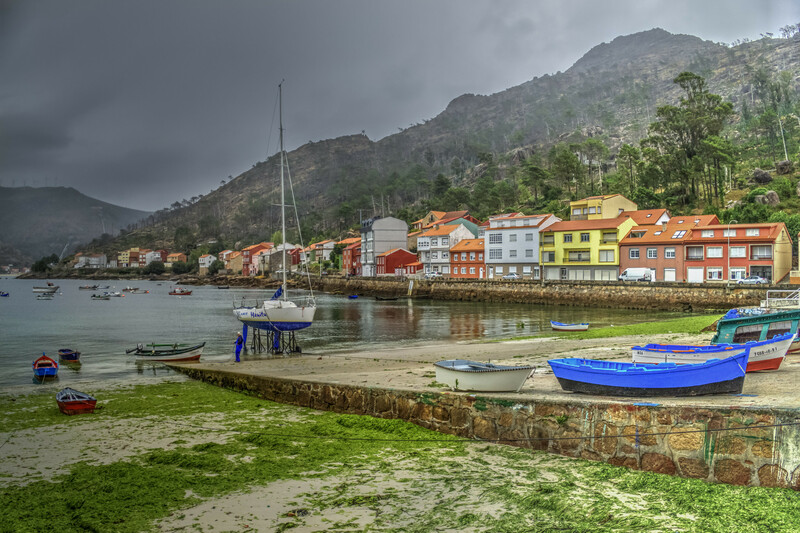 You can choose the shorter route through the inland, about 1.5 hours, or the impressive 3 hour coastal route along the places Cedeira, Ortigueira, Bares, Viveiro …, definitely recommendable for a stay of more than 3 days. While resting in `Ortigueira’, do not miss the cliffs of Acantilados de Loiba where you can sit on the ‘best bench of the world’ with beautiful sea views. 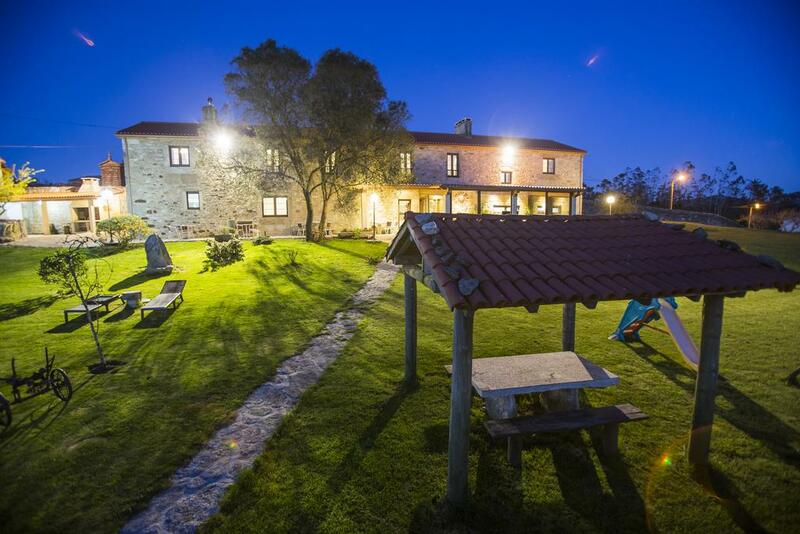 For a 4-day trip, stay at PAZO DA TRAVE, a charming, authentic rural house where you can feel at home and enjoy the magic and essence of Galicia. 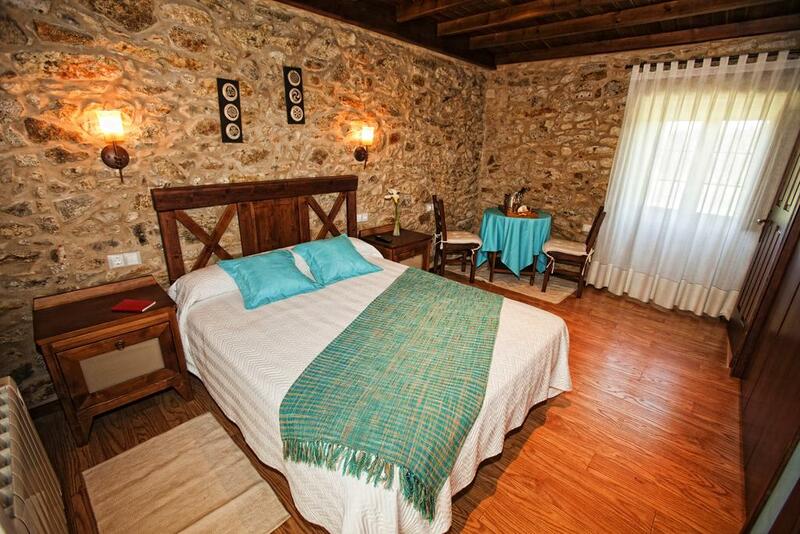 Enjoy your several days getaway to the Rias Altas in Pazo da Trave. Here the link to the tide table for a detailed planning of the visit. Book here your access to Playa de las Catedrales in advance, with good weather, in spring and also in summer, the visitor stream is large and the access restricted. After a beautiful, unforgettable beach walk, there is nothing better than to stop in a restaurant and enjoy a good meal. In Ribadeo, in the restaurant La Solana, with its perfect blend of Galician and Asturian cuisine, you can taste a variety of seafood and spectacular ‘fabas’ (beans) with clams, a true delicacy. Enjoy an after-dinner walk through the village of Ribadeo and later on visit the lighthouse `Faro de Isla Pancha´, the last sight on our route along the Rías Altas. 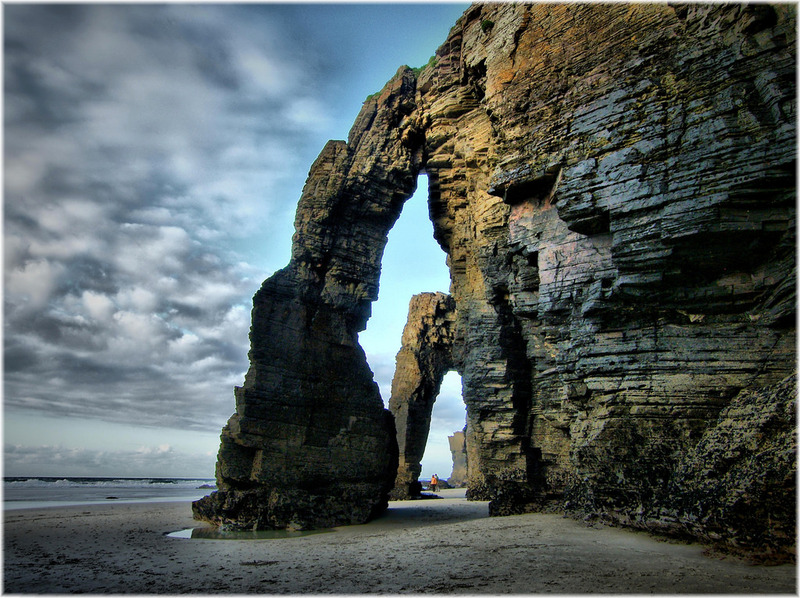 Remember to consult the tides to plan the beach visit at Playa de las Catedrales before or after your stay in Ribadeo. 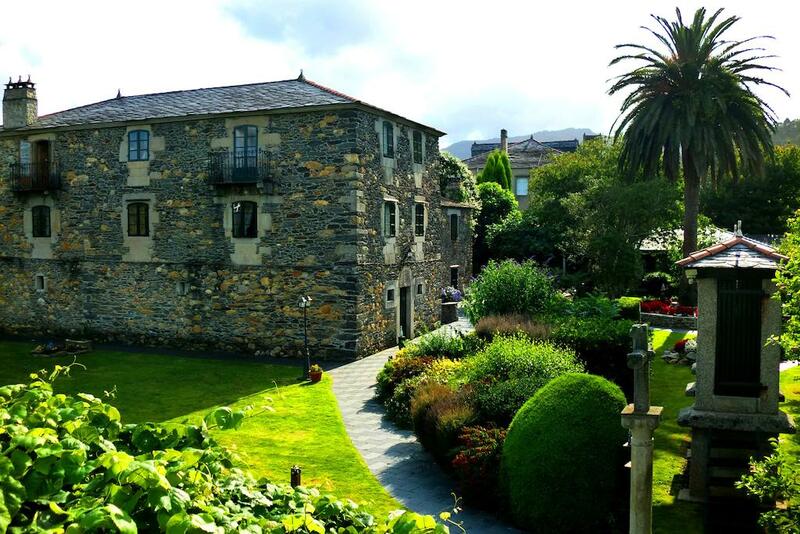 In Foz, close to Ribadeo, the Hotel FINCA GOLETA is located in a typical Galician villa on a 14-hectare estate, with spectacular views of the estuary and a good homemade breakfast. 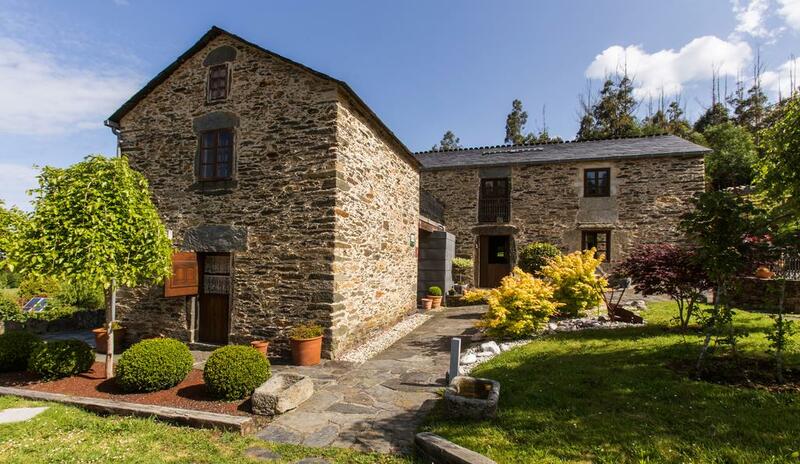 Fall in love with Galicia, enjoy your getaway in Finca Goleta. 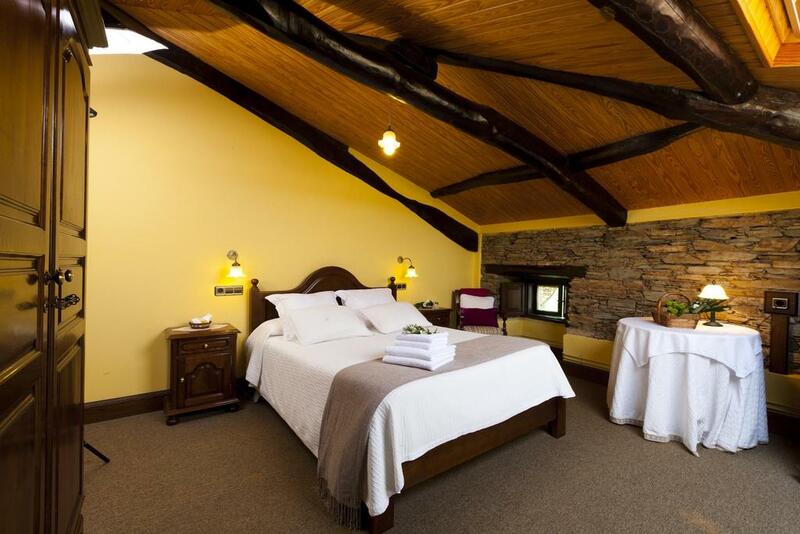 Enjoy your travel and discover more Boutique Hotels in Rías Altas and Boutique Hotels in Galicia.